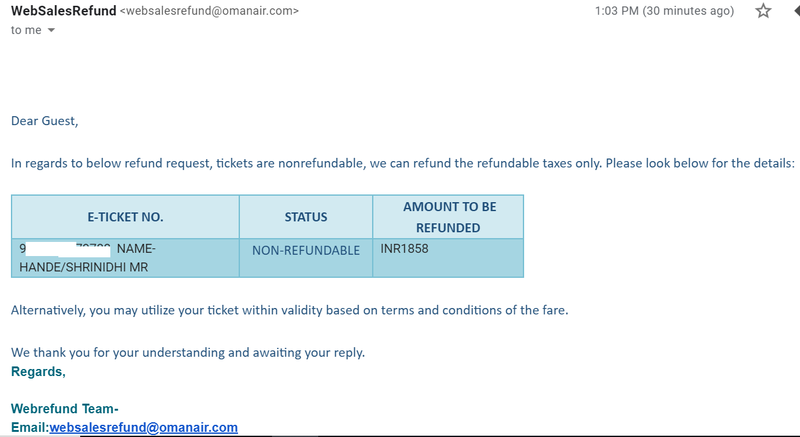 Home / airlines / middleeast / news / OmanAir refusing refund on Delhi-Iran low fare! Oman Air needs to get its act together. Jan 25-27, Oman Air website listed a very low fare for Delhi-Tehran-Delhi sector. Hundreds of people, excited by the prospect of traveling to Iran super cheap made bookings. Some for Feb, some for April and some for other months in 2019. Many also spent extra money to fly to Delhi from their respective cities. One week later, news broke out that Oman Air is not going to honor these low fares, blaming them on a technical glitch. Subsequently, all such passengers got email, either to pay fare difference (some 42k extra for round trip) or take full refund. It made no sense to spend 50k to fly to Iran- if one can spend 50k, there’re 100 other more exciting destinations they can explore. Naturally, many opted for full refund. Passengers had to fill up a refund form on Oman Air’s website with all minute details including e-ticket numbers, wasting lots of time for no fault of theirs. Few days later, passengers are getting email stating “Only tax component can be refunded”- screenshot below. This is like insult to injury, forcing passengers to call up Oman air customer care. While Oman Air customer care insists that passengers will get full refund, they refuse to send it in writing, they won’t give any email ID/escalation email ID to which affected passengers can complain. 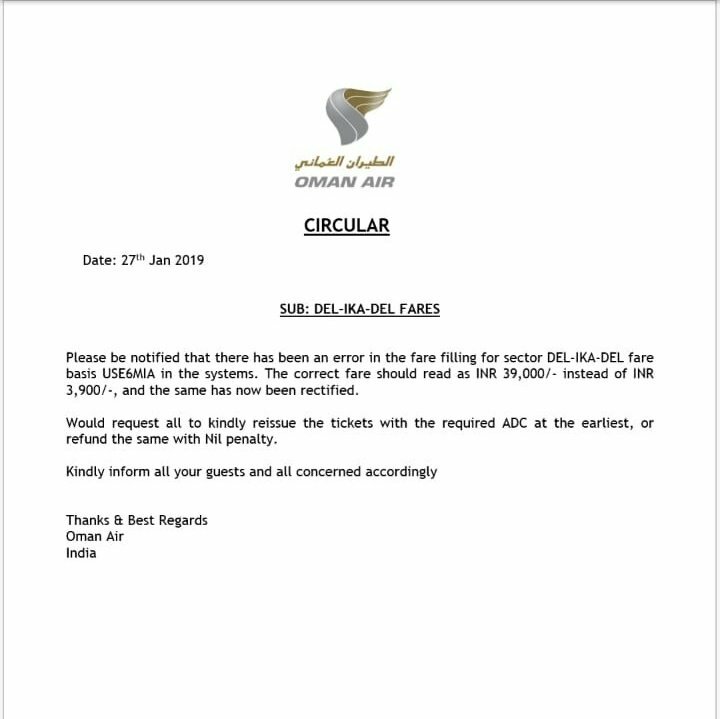 So now 1000s of passengers are left licking their wounds, cursing their decision to book on Oman Air and probably resolving never to book Oman Air ever again. All they can do is wait and hope for full refund, which is not yet assured in writing. 1. Many people have protested in Delhi against Oman Air- read news here. Earlier communication, refusing to honor low fares and asking customers to pay difference or take refund. 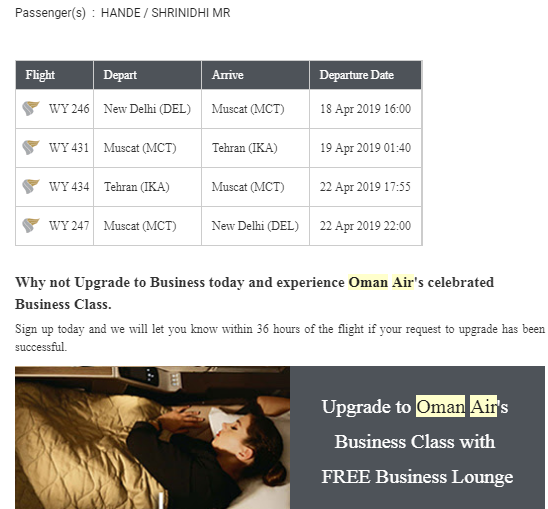 On the other hand, Oman Air sends an email asking me to upgrade to business class. I understand it is a system generated mail, but airline is totally insensitive in sending useless mails and wasting time. Till date, Oman Air has not given any official response. No apology, No compensation. Press release section of Oman Air website has no mention of this mess. 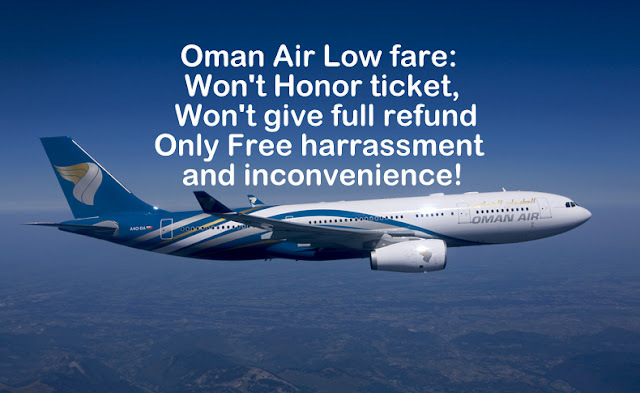 Affected passengers are contacted in an individual manner and coaxed to cough up the fare difference and those not willing to do so are subjected to more torture, inconvenience and irritation by refusing full refund and make them waste even more time following up with Oman Air. Oman Air’s social media handles won’t respond if queried about this mess. Oman Air twitter handle seem to be busy conducting some contest answer for which seem to be "Cenderella"
In my opinion Oman air is unnecessarily getting into a PR Mess. They could have cut their losses, honor the tickets, use the incident to get some new customers, publicity and goodwill, which is probably a good compensation for lost revenue. By being adamant, by making customers run from pillar to post, Oman Air is losing potential customers and getting lots of bad press.